Remarks: Reports of marriage records are on file from July 1948 to the present. 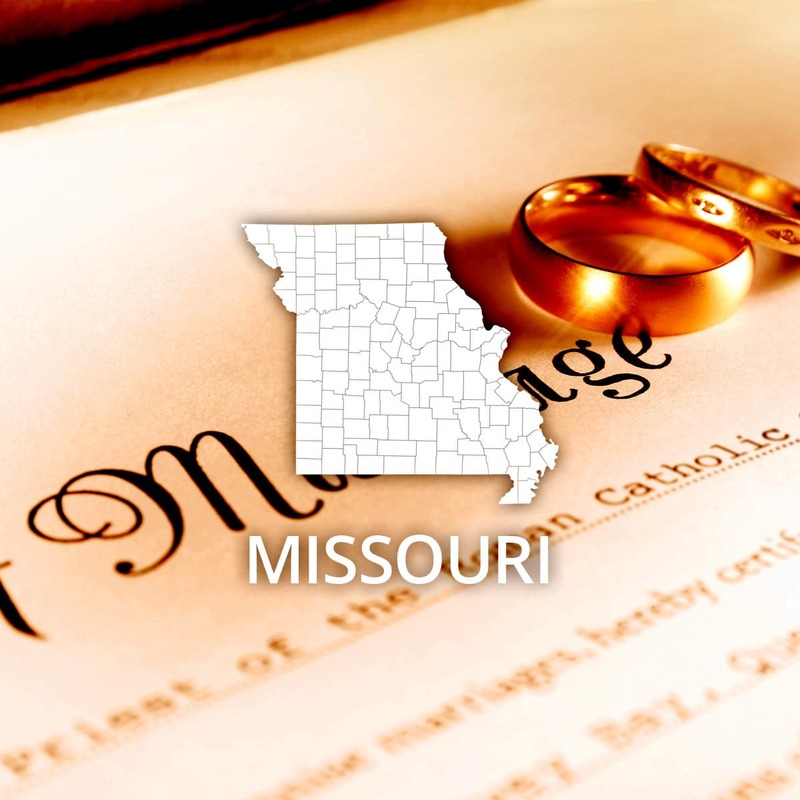 Certified copies of Missouri marriage records are also available from the county recorder of deeds where the marriage license was obtained. For details, please contact these offices directly. Certified copies of reports of marriage records are $15.00 each. Personal check or money order should be made payable to Missouri Department of Health and Senior Services. Please include a self-addressed stamped envelope. To verify current fees on marriage records, the telephone number is (573) 751-6387. Information on how to obtain certified copies is also available via the Missouri Department of Health and Senior Services, Vital Records website. A valid photo ID is required for walk-in applicants. A signature is required. Notarized requests are required for mail-in orders.